On 10 March 2016 the NSW Government announced an investigation into improving transport connections between Bankstown and Liverpool, including a possible extension of Sydney Metro from Bankstown to Liverpool. Restoring the Inner West Line to its pre- October 2013 route (Liverpool via Regents Park) is important for public transport in South West Sydney. This should be done before any new Metro line between Bankstown and Liverpool is built. If the Metro is to be extended from Bankstown, it should also go to Lidcombe via Regents Park. 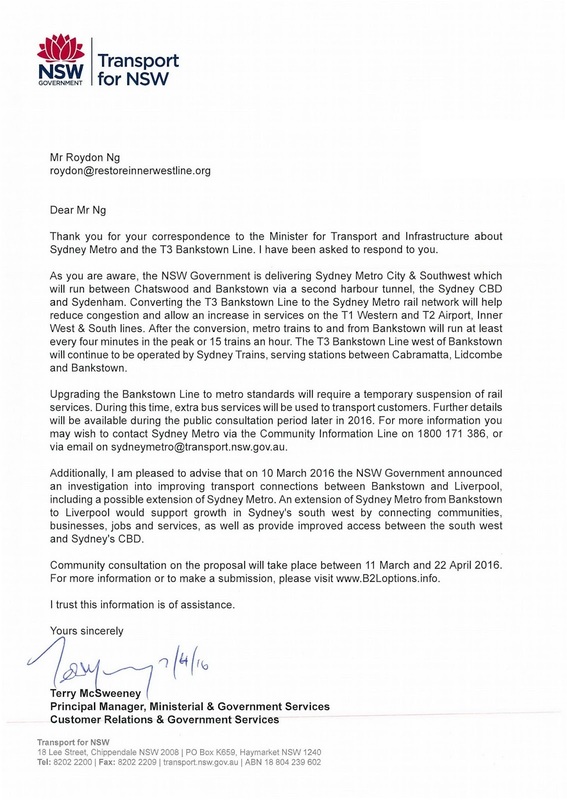 We have also sought comment from Transport NSW, Sydney Metro, Sydney Trains to clarify whether regular Sydney Trains' train services will run ...Regents Park - Sefton... or ...Regents Park - Birrong... as the map's drawing of the train line is different to the current Bankstown Line route. 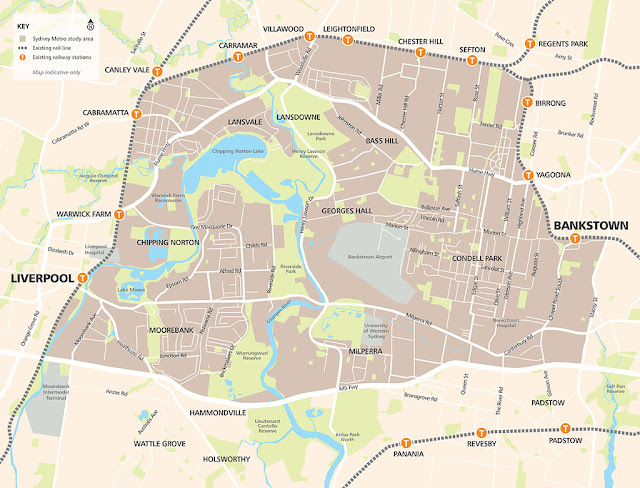 Transport for NSW has confirmed that the map displayed is not an accurate representation of station locations or the operation of the Bankstown Line once the Metro is built.